Sleek, elegant, thin, strong. 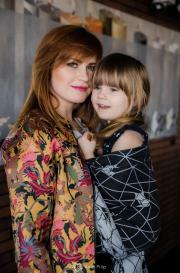 What more is there to love in a winter wrap? Abstract Mirage's Egyptian mercerized cotton and standard cotton blend in four different weave structures to create a beautiful mirage-like shimmer for this handpainted design, while providing both grip and glide for easy wrapping. 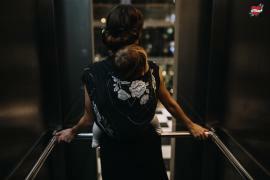 Perfect for quick short carries but lovely for base size carries and of course elegant fancy finishes, this 25.5"-wide wrap performs well in all sizes and for babies and toddlers alike. Weighing in at 240 grams per square meter, it feels delightfully light while still being densely woven without long floats. 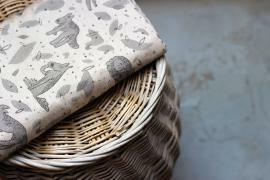 FOXY is our new pattern.Very simple, minimalistic and so modern. Now dark grey and white are connected and creates this beautiful wrap. 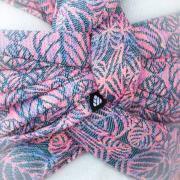 Amazingly soft, thin in touch, grippy and quite different than other Kenhuru 100% cottons. FOXY CLOSER is ready to wear straight from the box. Sparkling light turquoise, warm ocean green and pure natural white. A perfect combination to recreate a woven ocean. Pattern of tiny pearls on the ocean colors become like sweet little bubbles sparkling in the ocean. Can you find adorable little hearts hidden between? 100% organic cotton (GOTS certified). Great diagonal stretch ensures an easy, comfortable and secure wrapping. Unique softness since from the beginning. A medium thickness makes it suitable from newborn to bigger babies. 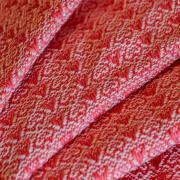 Inkanto is a high quality woven baby wrap designed and produced by Bebering. All our wraps are made from safe natural fibers, provided by European producers. The Inkanto wraps are all diagonally stretchy. 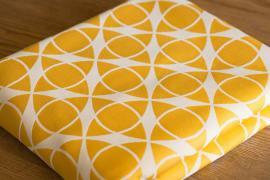 They adapt perfectly while wrapping giving optimal support for both the baby and the parent. Huggyberry is the second Turkish brand who manufactures the most elegant woven wraps from 100% organic fibres and pays the utmost attention to being fair & environmentally conscious. 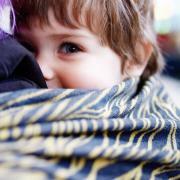 Huggyberry wraps hugs you& your baby with a silky touch. For its first collection of woven wraps, Huggyberry preferred to use raw thread color - ecru- for warp which not only makes the feel of the wrap more soft but also reflects its dedication to sustaining a natural and eco-friendly stance. Mocha Fable - a unique proposal combining the world of adults and children. 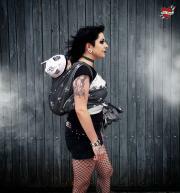 The pattern is the result of cooperation with the author of "Fable at the End of the World" - Marcin Podolec. Mocha Fable was made with 100% the highest quality certified combed cotton combining warm autumn beige with a hint of summer sunshine and a deep, relaxing color of roasted coffee. 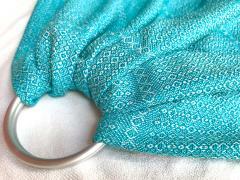 The weight of our shawl is 320 g/m. Thanks to that we can be sure that they wrap and comfortably bear any baby. Attention all red lipstick lovers, Dekka brings you the perfect wrap to go with your red lips. Tilia Art (name after Artur on picture) combines a soft azure multicolour with a bright kissable red. The wrap is woven in a Dekka Triweave which gives it the characteristic fluffiness and supportiveness. We recommend it for older children weighing 6 kg or more. 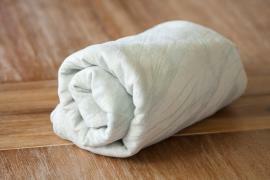 The wrap is made of 100% Egyptian combed cotton and is easy to maintain. Aprox. 330gms.